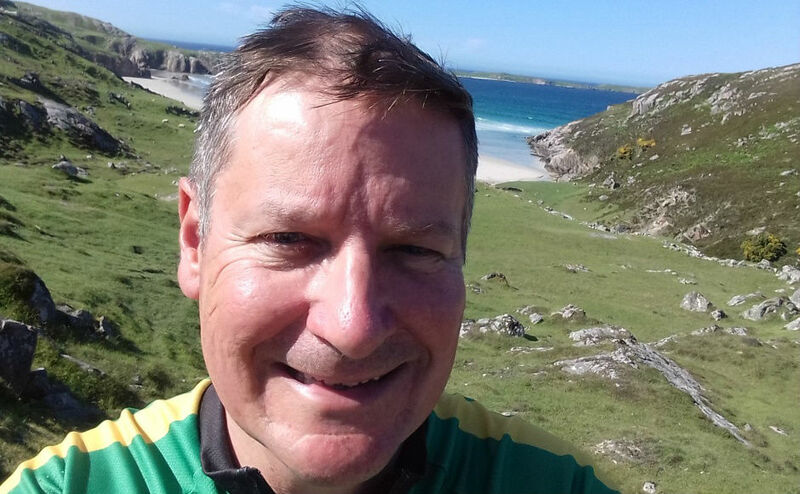 Ed Christie biked from Dunfermline to Durness in the Highlands then looped down the east coast to Dunbar in East Lothian and back to Dunfermline between June 2-13. The 54-year-old member of Gillespie Memorial Church in Dunfermline described the epic journey as an “incredible experience” to mark the 10th anniversary of Talk Matters. 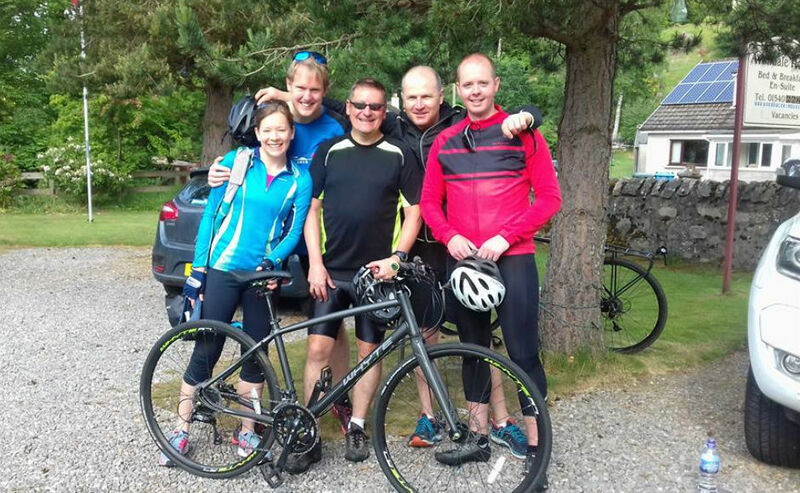 Elder Ed Christie (centre) with fellow solicitors Fergus and Lesley Johnson, Neil Queen and Andy Brown. The organisation, which embraces the Christian ethos of acceptance, forgiveness, healing and love, supports people suffering from depression, anxiety, stress, anger and bereavement. Mr Christie, who is the chairman of the Board of Trustees of Talk Matters, most recently born out of the National Counselling Service Fife, said: “Talk Matters provides a life changing service to thousands of people so it was a privilege to play a small part in raising much needed funds to support it. “I qualified as a counsellor in 2010 and felt called to this kind of work after receiving the gift of counselling during a period of ill health a few years before then. Mr Christie said Talk Matters has two employees but the rest of the Trustees, counsellors and administrative team are volunteers. He added that it costs £52,000 to run the project last year and 1,047 counselling sessions were provided. Mr Christie said: “We receive valuable grants which help us operate but there is a deficit between grants and the running costs . 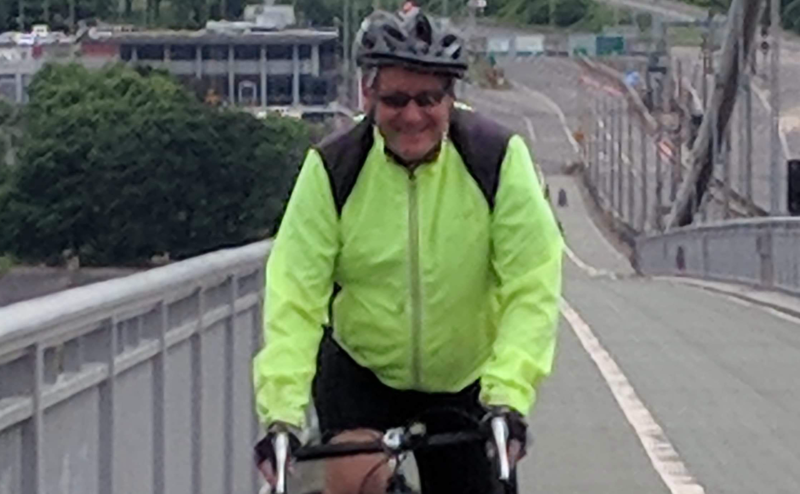 Mr Christie, who works as a court lawyer with Dunfermline firm, Ross and Connel, said he enjoys cycling so it seemed like a good way to raise money for the charity. The married father of two said: “I am an undesirable mixture of overweight but relatively fit. Mr Christie said the trip itself was “arduous” but he only had to endure 45 minutes of rain in 12 days. “The daily mileage of 58 miles was not in itself hard but the repetition of cycling this for 12 days mounted up,” he said. Mr Christie said he and his team stayed in bunkhouses and Bed and Breakfast places along the route. He is the co-ordinator of the Gillespie Memorial Church’s Mission and Outreach Team and has a particular interest in projects which provide practical help to people in need. 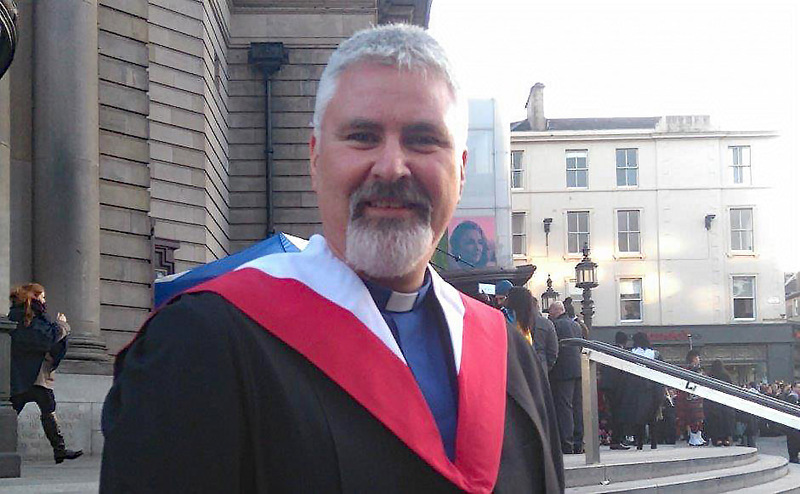 Rev Mike Weaver, minister at Gillespie Memorial Church, said: “Talk Matters counselling services are close to my heart. “Having studied for a post-graduate counselling certificate during my training for ministry, I know the difference having a trained listening ear can make at times of life where we are thrown off balance. “Gillespie Church has a long history supporting the great work of Talk Matters, and we a grateful for Ed’s sacrifice of time and energy, and for those who supported him on the ride and with sponsorship.